Review by James Sage, Ph.D. Whether you are interested in philosophy of science as a scholar or as a supplement to your other professional interests, Peter Godfrey-Smith presents a provocative discussion that covers key topics, including: logical empiricism, naturalism, realism, explanation, as well as issues related to confirmation, evidence, and Bayesian probability. In particular, I believe that those who teach philosophy of science (whether at the undergraduate or graduate level), will find this volume invaluable. Godfrey-Smith presents clear and organized chapters which are a pleasure to read. His prose is clear, his examples carefully developed and highly appropriate. And in places where Godfrey-Smith presents his own analyses and his own commitments, he is careful to flag such passages. The book is organized as a progression of ideas and debates in science over the last 100 years. As Godfrey-Smith weaves this fascinating story of Western intellectual heritage, he is careful to point out key people, concepts, and controversies which have shaped (and continue to shape) our understanding of science. As a straightforward introduction to the philosophy of science, Theory and Reality draws careful connections between philosophy, science, and other fields, such as psychology, astronomy, history, and mathematics. Readers will enjoy the chronological presentation of ideas in each chapter. Throughout, Godfrey-Smith consistently includes important lessons from the philosophy of science (the difference between prescriptive statements and descriptive statements, the difference between causation and explanation, the difference between metaphysics and epistemology, etc.). In addition to a chronological organization, Godfrey-Smith's book can be used in a thematic fashion, with chapters 1 and 2 serving as crucial background and introductory discussions. Chapters 3, 4, 10, and 14 address issues related to evidence, testing, and theory choice. Chapters 5 thru 11 address the idea of scientific change and the social organization of science. Chapters 12 and 13 deal with the metaphysical side of the philosophy of science. And chapter 14 presents a nice discussion of Bayesian probability. Each chapter includes a "further reading" section which will help to guide readers to additional materials. Readers will also find at the end of the book an extremely useful glossary of terms, as well as the large number of references and a comprehensive index. Pedagogically, Theory and Reality has enormous promise (which shouldn't be any surprise, as the book is a culmination of 11 years of Godfrey-Smith's lectures on these topics). By itself, the book is extremely readable, comprehensive, and thoughtful. When used in conjunction with other texts, Theory and Reality can provide the much need "paste" to make sense of these important developments in the philosophy of science. For example, instructors may wish to use Godfrey-Smith's text along with selections from original sources, such as Hempel, Kuhn, Popper, Feyerabend, Latour, Quine, Dewey, Hull, or Churchland. Because Godfrey-Smith incorporates numerous, accessible examples to illustrate his points, I have no doubt that students will find his treatment of issues to be rewarding. Above all else, Theory and Reality is clearly written. While addressing important issues (such as the difference between logical positivism and logical empiricism), Godfrey-Smith displays consistent clarity. It is truly refreshing to read a text that is thorough, clear, and penetrating. Students with little or no background in philosophy or philosophy of science will find this book to be extremely worthwhile. Professionals in other fields and other disciplines will appreciate the breadth and depth of this book, as well as the recommendations for further reading provided at the end of each chapter. While the book has no weak chapters (each is penetrating and very interesting), I have several favorite parts of Theory and Reality. These include chapters regarding Thomas Kuhn, "Kuhn and Normal Science" (chapter 5) and "Kuhn and Revolutions" (chapter 6). These are among my favorite chapters not because I am a huge fan of Kuhn (in fact, I tend to be fairly wary of Kuhn and Kuhn-enthusiasts), but I must admit that these chapters present an extremely valuable presentation of Kuhn, paradigms, and related issues, such as scientific crises, puzzles, revolutions, and incommensurability. So, whether you are a die-hard fan of Kuhn and paradigms, or whether you are mildly skeptical about Kuhn and paradigms, Godfrey-Smith provides an organized and thoughtful discussion of such issues. Throughout his discussion of Kuhn, Godfrey-Smith is careful to include criticisms and his own insights (and as always, the reader is provided with signposts marking Godfrey-Smith's own views). For this reason, it is delightful to read a candid and yet intellectually honest presentation of a controversial topic such as Kuhn and scientific paradigms. Similar remarks apply to Godfrey-Smith's treatment of the sociology of science (chapters 7 thru 9). In sum, Theory and Reality has no weak chapters (this is worth repeating). Especially strong are the first two chapters ("Introduction" and "Logic Plus Empiricism"), which provide an introductory framework that allows the reader to move quickly from chapter to chapter (following chapters in order), or from topic to topic (bouncing one's way thru the text). 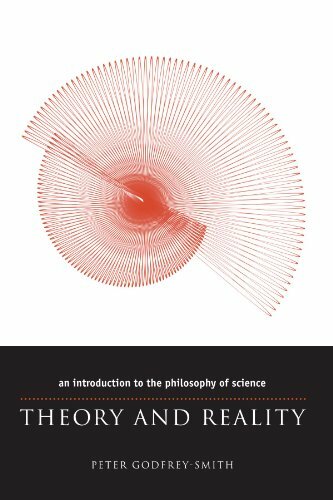 Whether you teach philosophy of science, or whether you are simply interested in issues relating science, philosophy, history and other fields, I am confident that you'll find Theory and Reality an accessible and rewarding read. James Sage is an assistant professor of philosophy at the University of Wisconsin, Stevens Point. His main areas of interest are philosophy of science and epistemology. He is also interested in evolutionary biology, cognition, and the scholarship of teaching and learning.